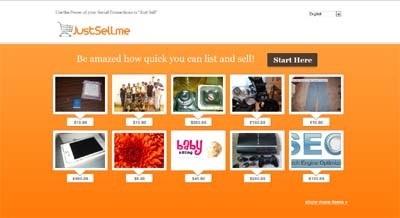 JustSell.me brings the ability to quickly list and promote old or new, loved or unloved stuff. By connecting to Facebook & Twitter users can quickly sell to friends and friends-of-friends. No more expensive time consuming store fronts to build. Simply list and sell. No listing fees and instant connection to Facebook and twitter timelines to promote to existing connections. JustSell.me lets people sell to friends & friends-of-friends. No more dealing with strangers, no more building relationships and reputation points. JustSell.me lets you sell products or services to people you know and people who trust you. JustSell.me handles the complete transaction so users don’t need to worry about payment problems.Selling to friends is now easy, avoid the awkward bidding war between friends. Items are sold on first come first served basis and completed upon payment.